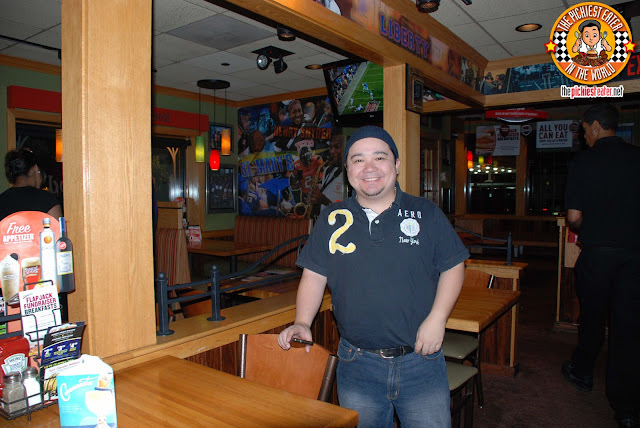 THE PICKIEST EATER IN THE WORLD: THROUGH THE TUNNEL TO APPLEBEE'S! Back in September, during our Oreo Trip to New York, Rina and I ventured across the river to New Jersey, all on our own during a free night, just to visit Rina's Aunt Eva and Uncle Tony. Tita Eva is like a second mother to Rina, so she was determined to meet up with her, no matter what. Of course that meant that my mission was to figure out how to get there via the subway. 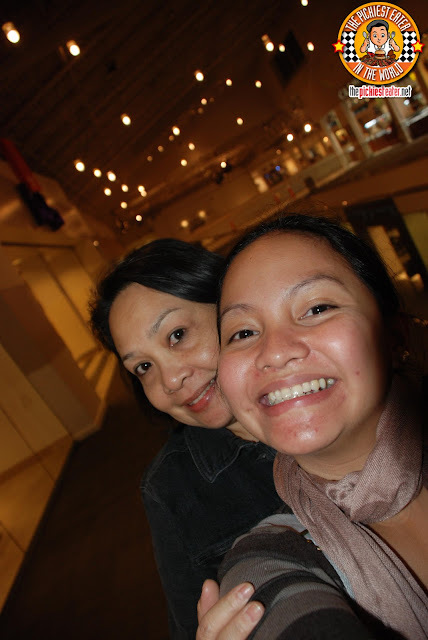 Thankfully, it was actually quite easy, since all we had to do was get down on the very last stop (I forgot what train though hehe), where Tita Eva and Uncle Tony was waiting to take us shopping at the Jersey Gardens. 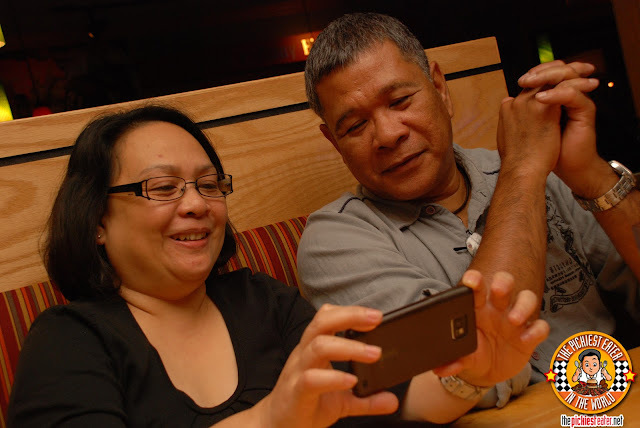 All that shopping caused me us to work up an appetite, so before we headed back to New York, Tita Eva asked us where we wanted to go for Dinner. She rattled off names of restaurants, and something I immediately recognized was "Applebees". 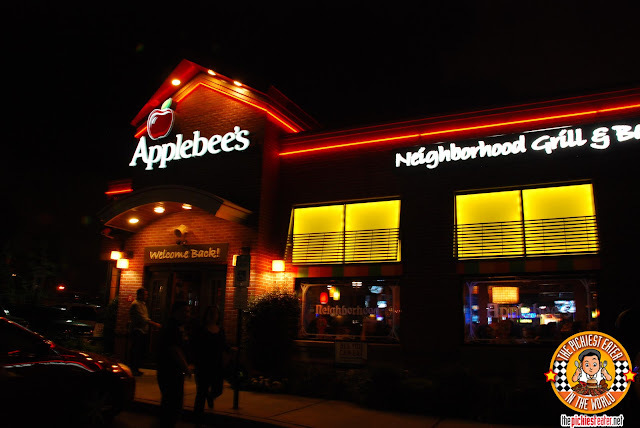 Applebees is a huge restaurant chain, that boasts of over 2000 locations in the United States and 15 other countries around the world. The closest one to the Philippines happens to be in Singapore, which opened a couple of years ago. 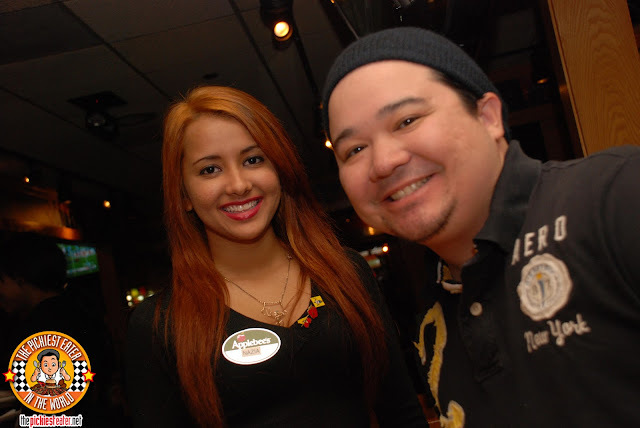 It had a relaxed, chill atmosphere, with the attendants talking to you like you were more of a friend visiting their house, than a customer at a restaurant. After a short wait, our hostess, the adorable Nazia was able to find us seats. Which was nothing short of a miracle, because there was a New York Giants game going on, and Applebees had become Giant Central. Every play made by the home team (The New York Giants and New Jersey Jets Football teams play at New Jersey.. go figure) was met with a roar of approval by the fans. Though the place was rocking', it was all in good fun, with no one really getting out of hand or too rowdy. All in all, it was a fun way to experience a casual sports bar in America. Although the new NBA Season hadn't begun yet, I'm lucky I wasn't wearing any Lakers Paraphernalia (The people of New Jersey might be bitter about their team moving to Brooklyn hehe). We kicked off our meal with the Appetizer Sampler (US$11.69), which included Mozzarella Sticks, Spinach & Artichoke Dip, Cheese Quesadilla Grande and Applebees popular Boneless Wings. First off, I loved how informal it looks, as the platter was lined with aluminum foil. It made it feel like we were at a picnic or something. Second of all, It was nice to see that in terms of quality of food, restaurants back home in the Philippines are on par with the food served here. 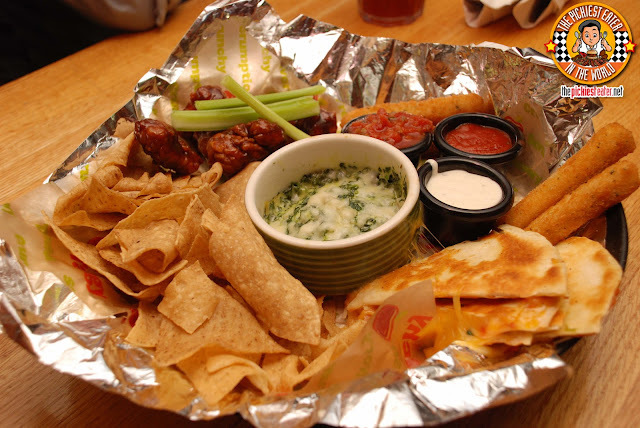 You can find similar appetizer samplers in Chili's or T.G.I. Fridays here (which are also international brands), and the high standard of quality is the same. In fact, I can safely say that I enjoyed Chili's Nachos more than Applebees. What stood out the most in the appetizer platter for me was the Cheese Quesadilla Grande. 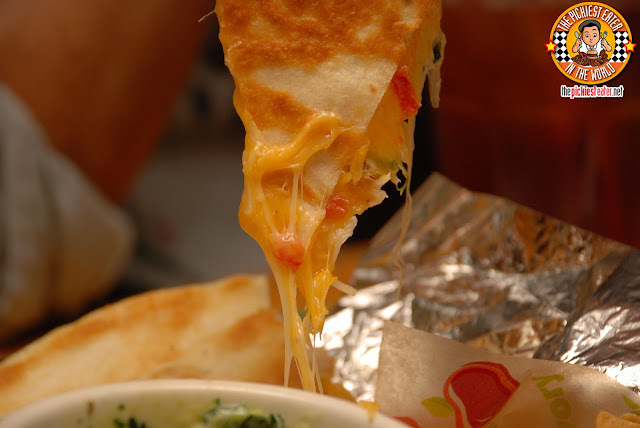 The wrapper was nicely toasted, and the gooey cheese was rich, and peppered with tiny bits of bacon in it. 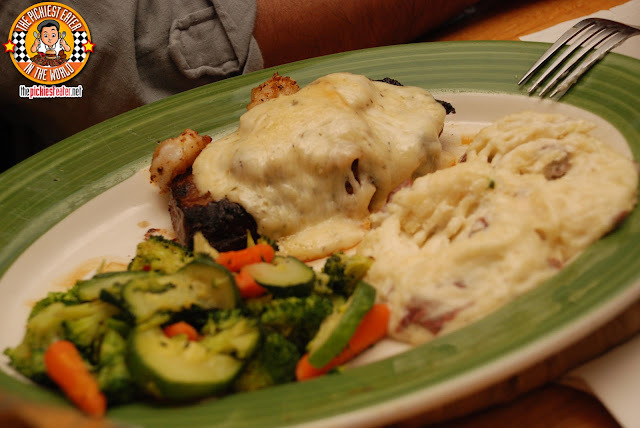 Tita Eva ordered the Creamy Parmesan Chicken(US$10.49), which despite how decadent it may seem at first, is actually part of Applebee's "Weight Watchers" Menu. This was juicy grilled chicken breast with creamy au gratin Parmesan sauce, served with steamed spinach and mushroom rice pilaf. Tito Tony was looking for a man sized meal, so he ordered the Bourbon Street Steak (US$14.29). This was A juicy, tender 9 oz. steak jazzed up with Cajun spices. 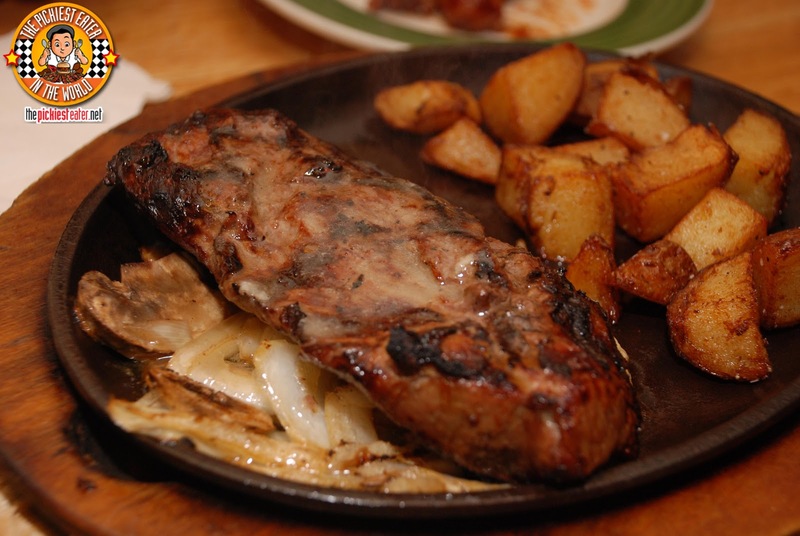 Served with sautéed onions & mushrooms and fried red potatoes. The sear on the steak looked overdone a little bit, but the way Tito Tony devoured it in record time made me realize that it wasn't an issue at all. 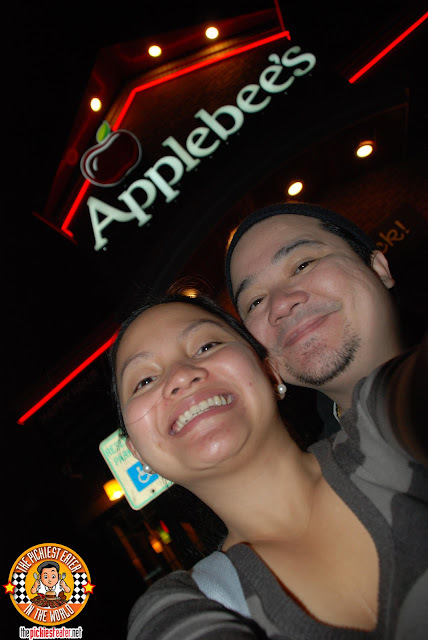 Our attendant told us that we could not visit Applebees without ordering the Applebees Riblets (US$11.69). 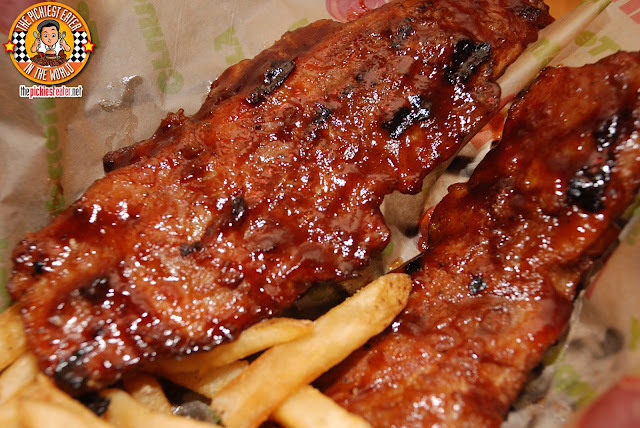 This was some world-famous Riblets slathered in their BBQ Sauce, and served with fries and cole slaw. The meat was remarkably tender, and the BBQ sauce had a sweet, yet tangy flavor to it that brought out the smokey flavor of the meat. Though I understand it was "riblets", I would have preferred a bit more meat on it. As predicted, Rina was looking for some rice to go with this, instead of the provided french fries. 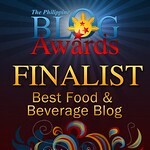 I ordered the Roast Beef, Bacon and Mushroom Melt (US$9.59). 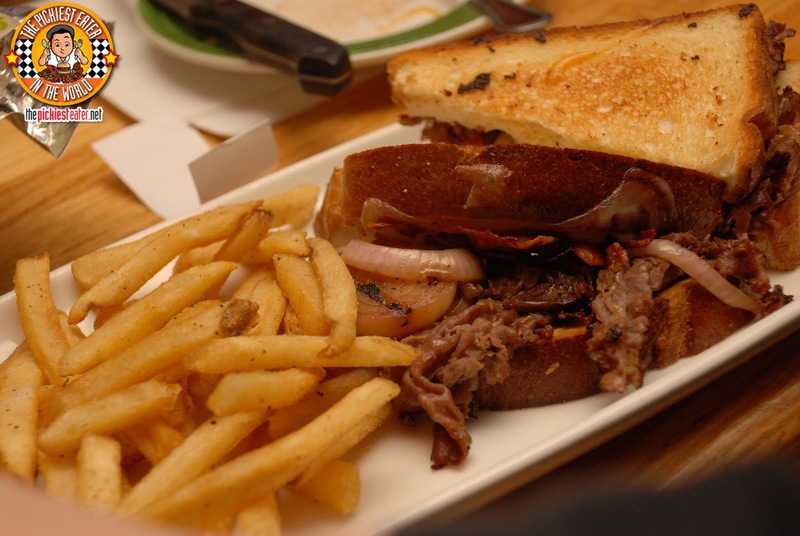 This hot roast beef sandwich has grilled red onions, Applewood smoked bacon and sautéed red wine mushrooms. It's all served on thick sliced bread with melted Swiss cheese.. Everything I look for in a sandwich. First off, i love how the bread was nicely buttered before it was toasted. Second, I loved how they toasted it just the way I like it.. Just enough for the bread to get lightly brown, and let out a crunch when you take a bite. The roast beef strips were excellent, with the innate flavor of the beef really shining through. The applewood smoked bacon added a smokey, savory dimension to the sandwich that normally isn't present in your average roast beef sandwich. The sauteed red onions added a nice zing of flavor to the mix. Between the fantastic food and screaming football fans, I don't think I could have found a better place to enjoy an All American meal with my family! At first I was wondering on why was it priced in dollars... lol Looking at the sandwich, I'd gladly ignore the other two meat dishes you had. The sandwich was pretty amazing.. bacon and roast beef make an awesome combo! i wish they can bring this here too! i wanna try! It would be pretty cool if they did! There's already one in Singapore, so hopefully the Philippines is the next stop!